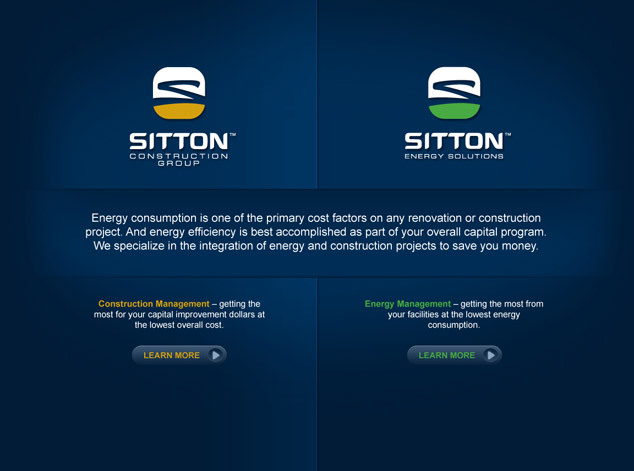 Visual Lure was recently contracted to redesign Sitton Construction Group’s website. 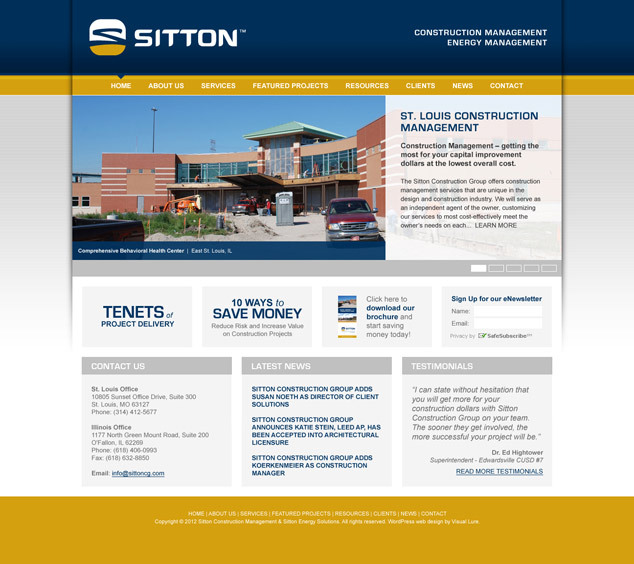 Web built the original website in 2007 with HTML and CSS and are redesigning the new website in WordPress and custom PHP to make it easy for the staff at Sitton to maintain. We will be creating a custom admin section where they can add, edit and remove projects along with an integrated WordPress blog serving as a news page. Below are the two initial home page design options we provided the client. Check back soon for more information and the launch of the new website. 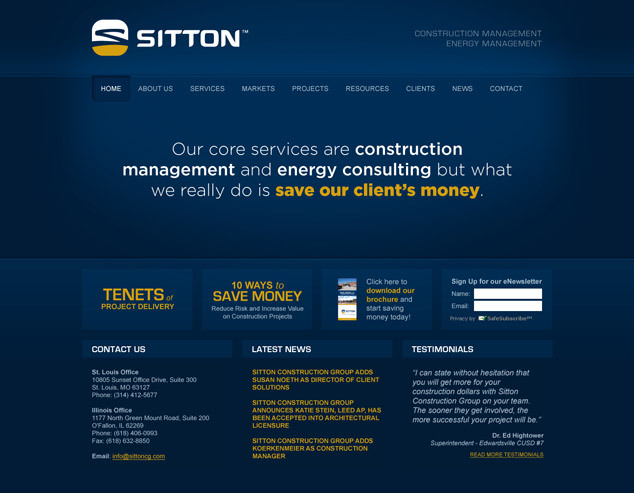 After Sitton reviewed our initial home page design options, they chose to go with the blue design but decided to break the website down into two sections: Construction Management and Energy Management. Here is the new landing page that will direct users to select the section of the website they would like to visit.